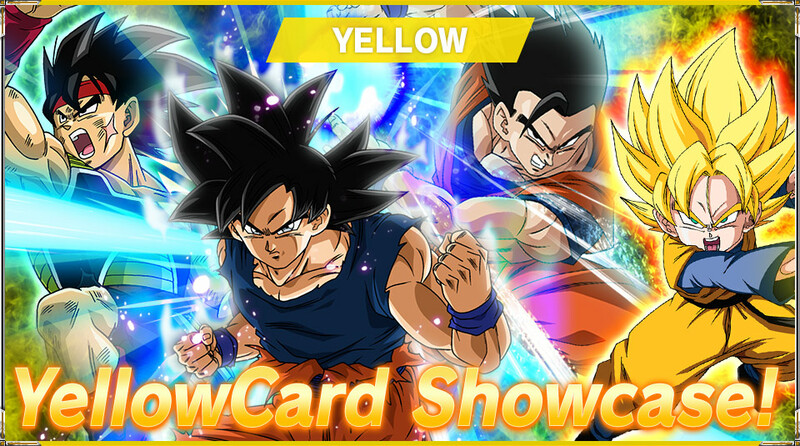 Let’s take a look at a few Yellow cards from series 4! Yellow in series 4 is mostly focused on Goku’s Lineage! check out the Yellow starter page! 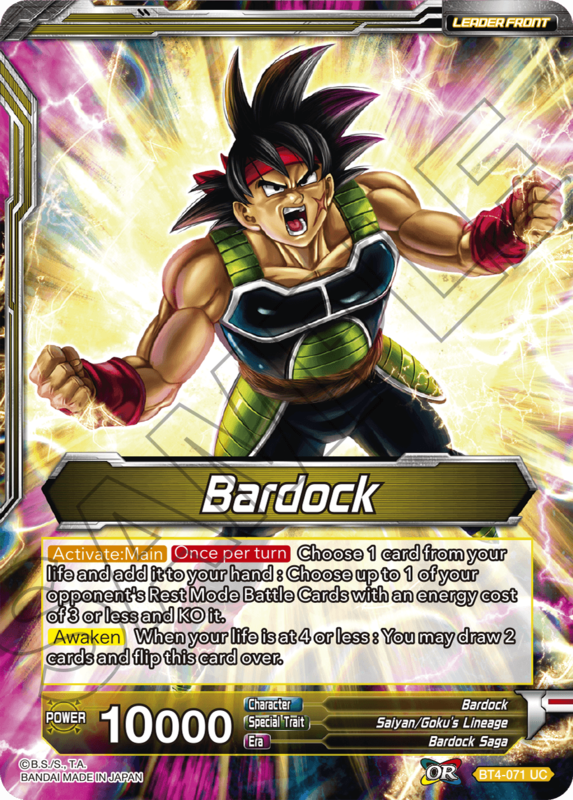 Bardock lashes out with a powerful skill that can wipe out Battle Cards in Rest Mode! 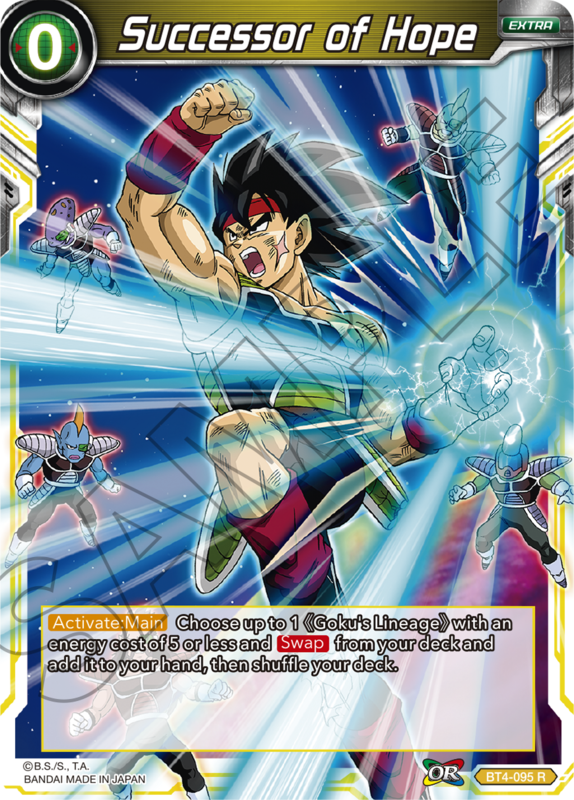 He also works great with previous cards from series 3! 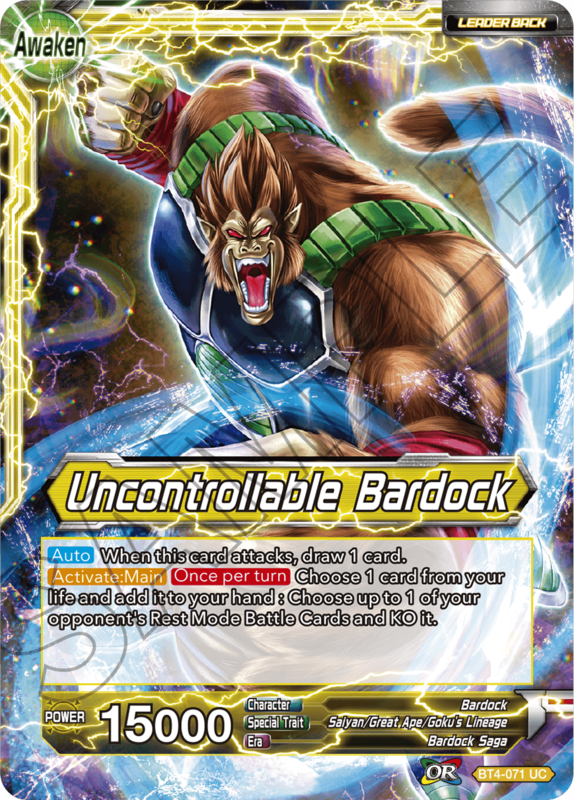 A great fit for decks built around Goku’s Legacy cards! Push Swap to its full potential! 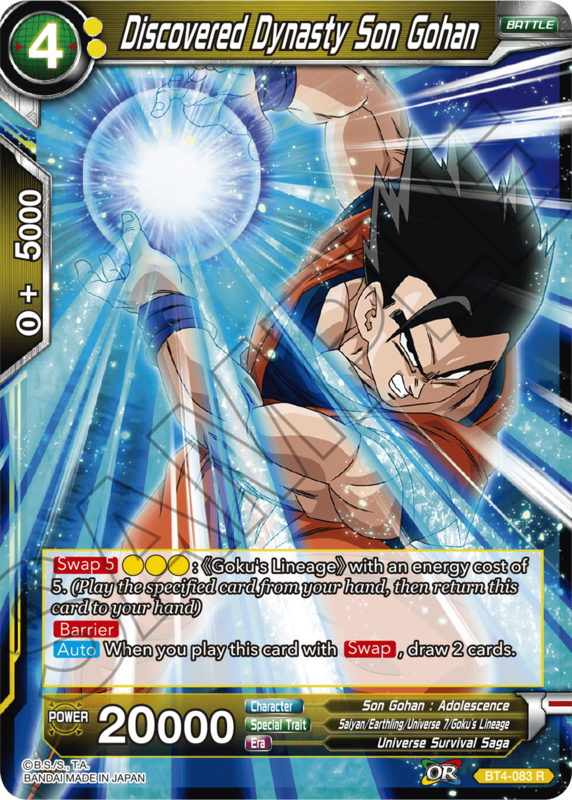 With both Swap and Barrier, this Gohan boasts unparalleled versatility! 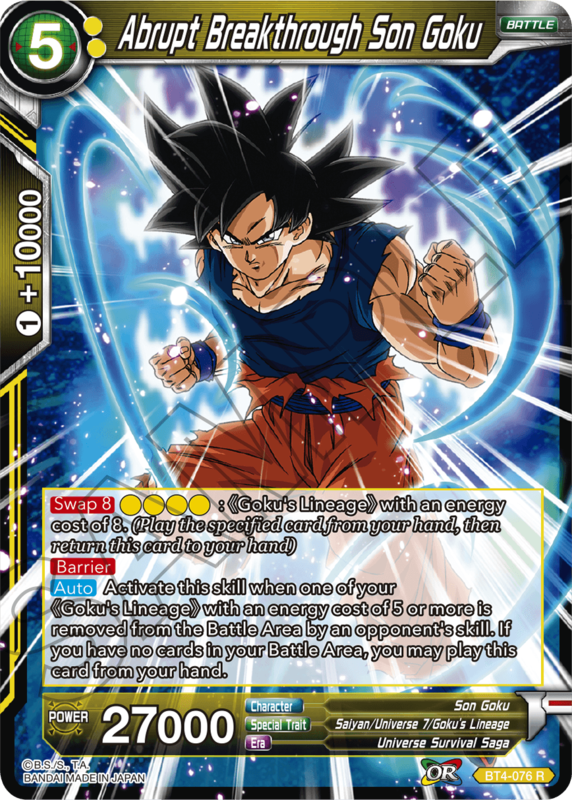 Pair him with the new Goku card below for a powerful combo! 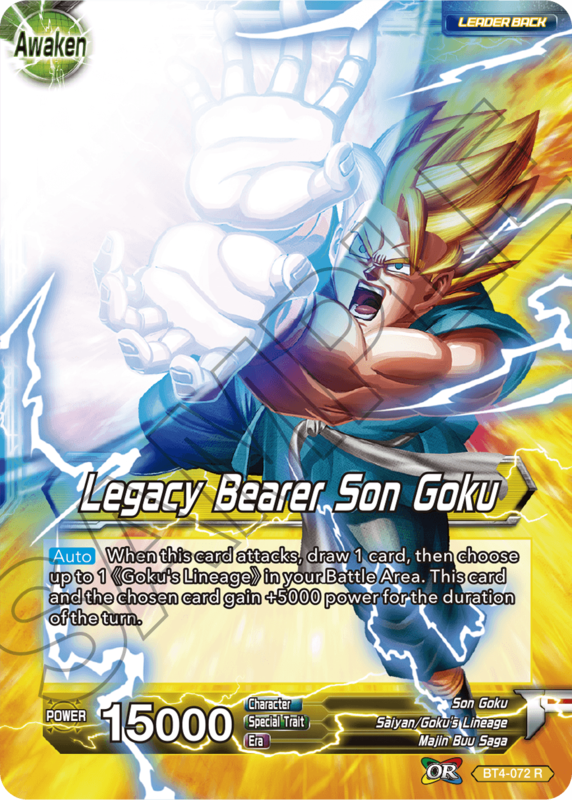 An incredible combo with Discovered Dynasty Son Gohan, Goku’s breakthrough even allows him to combo with SR cards! Get him into play, and you’re one step away from victory! 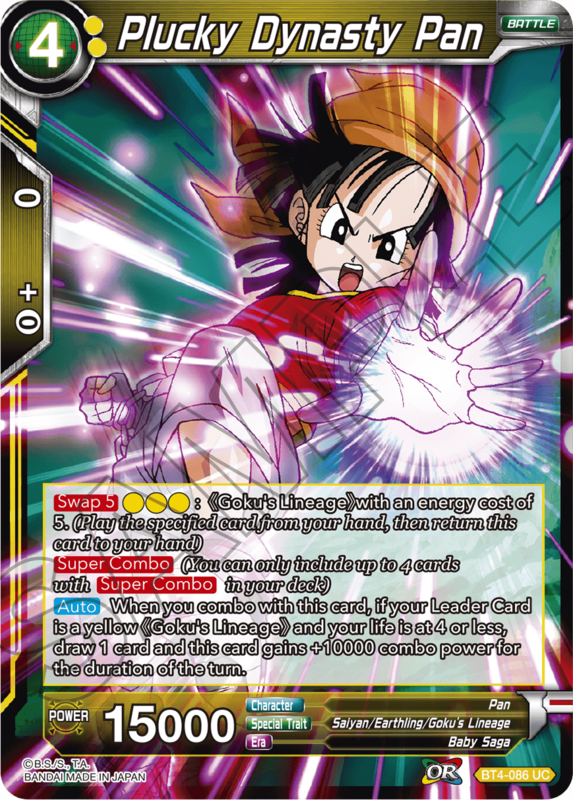 Super Combo cards in this series have Swap, too, for incredible synergies with Goku’s Lineage! Grab cards with Swap from your deck! 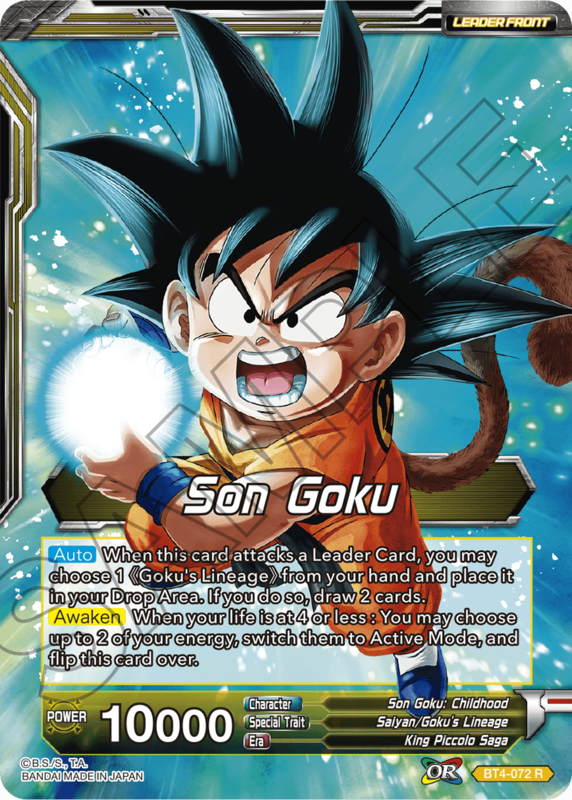 If you’re building a deck with Goku’s Lineage, you’ll definitely want to include this card! for a variety of versatile new synergies!